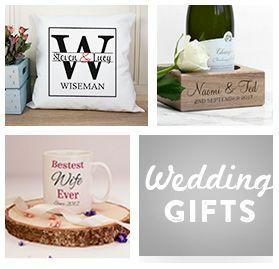 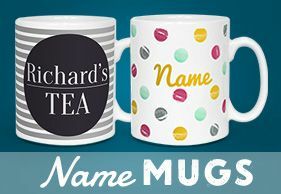 Our Personalised mugs and photo mugs make truly great photo gifts, ideal for birthdays or any other special occasion. 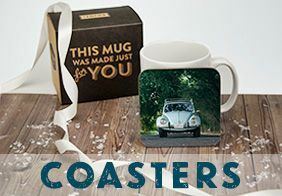 If you need a gift for someone special order a photo mug and stunning photo placemats/tablemats and photo coasters to match. 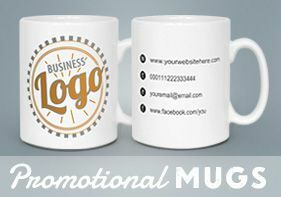 All of our personalized custom mugs and photo coasters are easy to order, simply choose the photo for your personalised mug, provide a caption (if applicable) and we'll create and print a great design for you. 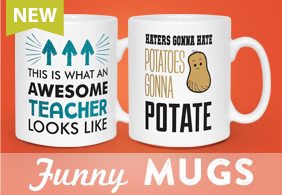 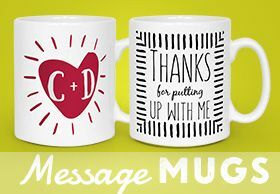 If you don't need a photo take a look at our message mugs, and name mugs... 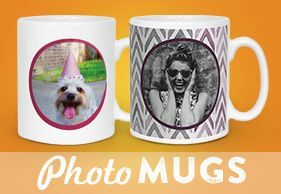 So, simply take a look at our range of mugs, heat change mugs, coasters and beer mats and choose your favourite photos from your collection - perhaps a great holiday photo, a heart warming family photo...pets on mugs are popular too!